It doesn’t matter what niche or industry you are in. Competition is part of the game, and if you’re dealing with customers online you might have to deal with competition that’s local as well as competitors from around the world. What that means is that providing a fantastic online customer experience is more important than ever before. Here are some suggestions to help you ensure a smooth and enjoyable experience for your online customers. As of 2015, more online searches were conducted on mobile devices than on computers, a trend that is expected to continue into the foreseeable future. To give your customers a great mobile experience, you should pick a mobile responsive design for your website, and make sure that any emails you send out are optimized for mobile users. Some things to keep in mind for email include keeping your text in a single column and including alt tags for your images in case they don’t load properly. Bad or confusing site navigation is one of the most common reasons that web users hit the dreaded “back” button on their browser. The navigation for your website needs to be extremely user-friendly and intuitive. That means that your menu should appear either at the top of your home page or on right margin. Everything should be clearly labeled. Other things to keep in mind are making it easy to return to your home page from anywhere on your site by making your logo a hyperlink back to your home page. You should also have a search option at the upper right-hand corner of your site, and contact information on the footer of every page. When people sign up for your mailing list, how much information do you request? Research shows that every field you add to your opt-in form reduces your conversions by approximately 11%. If all you’re doing is collecting names for your mailing list, consider limiting your form to just an email address – or at most, an email address and a first name so you can personalize your emails. Payment screens require additional information, but again, keep it to a minimum. If you don’t need a company name or an age, don’t ask for it. Stick to the basics and you’ll increase your conversions and sales. Research shows that an overwhelming majority of online consumers look at reviews before making a buying decision. Furthermore, even one negative review can be enough to change someone’s mind about buying a product or signing up for a service. You can do a lot to ease customer doubts and overcome fears by linking to your review pages on sites like Yelp, Angie’s List, and Google My Business. Linking to off-site reviews is especially helpful because they are perceived as objective where customer testimonials on your website are not. That said, it is also a good idea to include some testimonials or case studies on your site. People want to know that your company has helped people like them, and testimonials are a good way to demonstrate that to them. A/B testing, which is also sometimes referred to as multivariate testing, can help you test out multiple options of every aspect of your website and marketing materials. Sometimes even a small change, such as switching a call to action button from red to green, can make a big difference in your conversions – and in how customers feel about your company. Choose the social media sites you use wisely based on your customer avatars or personas. Don’t set up accounts that aren’t active. Any active account you have must feature regularly updated content. Don’t post identical content across multiple platforms. Modify your content to fit the medium. For example, on Pinterest you might share an infographic with a link back to your blog. On Twitter, a link to your blog with a few well-chosen hashtags is the way to go. Monitor your comments and reply to them as needed. The people who follow your company on social media want to feel valued. If you do all of these things, the image you project will be consistent and an accurate reflection of your brand. Finally, and perhaps most importantly, you need to provide excellent customer service everywhere your customers find you online. That means having clear help links on your website, a well-thought-out FAQ page, and contact information that’s easy to find. It also means integrating your customer service with your social media presence so that customers who ask questions receive quick and accurate responses that help them resolve issues. Providing a great user experience online doesn’t have to be complicated, but you do need to make a real effort to coordinate everything you do so that wherever customers encounter you or your brand, they leave satisfied. When you own a small business, it can be extremely challenging to find money in your budget for marketing. The good news is that there are plenty of free tools out there that you can use to boost your marketing efforts without spending any money. If you use these you can free up money in your budget to place targeted ads on social media, or even compete for some choice keywords on Google. 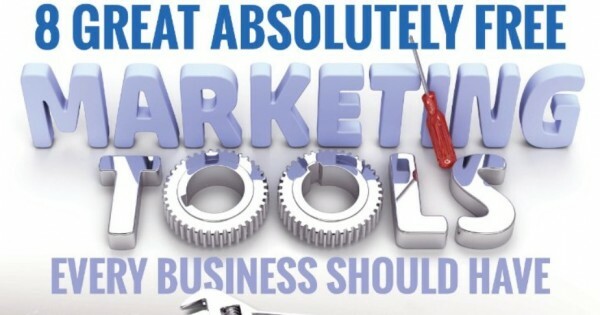 With that in mind, here are the top eight free marketing tools available, along with some tips about how to use them. Open Site Explorer is a free tool that can help you build a killer link profile to boost your SEO. When Google ranks websites, off-site SEO – meaning the sites that link back to you – are even more important than your use of keywords. 1. Do an analysis of your existing backlinks to make sure they all work. 2. Analyze your competitors’ backlinks to see where you might be missing out on opportunities. 3. Contact sites that are linking to your competitors but not to you to see if you can build new links with them. Link building can be a painstaking and slow process, but this simple tool can help you build links quickly – but in a way that is still organic and unlikely to subject you to any penalties from Google. If you want to increase your clicks and conversions, having compelling and irresistible titles is a key step in the process. This tool can help you take your titles from drab to dazzling. It might seem like a simple thing, but standardizing your NAP listings can have an immediate impact on your local search rank – and that can make a huge difference in your sales. There are other keywords tools out there, but the real benefit of this one is that it gives you keywords targeted by site – something that can be extremely valuable when it comes to fine-tuning your marketing. A site audit might take days, but Screaming Frog can help you shortcut the process and hone in on the areas that need to be fixed. Because it is so versatile, this tool is a huge boon for business owners with limited marketing resources. There is a limit on the number of pages you can crawl, but most small businesses will be able to get everything they need with the free version of this tool. You can use this information to figure out which topics to write about on your blog or address in your social media posts. Reviewing the traffic on your Facebook posts can help you figure out which content to post in the future for maximum engagement and conversion. 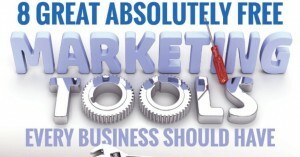 These eight tools can help you make the most of your marketing without increasing your budget. 3. Facebook’s algorithms are changing all the time. One of the things that has changed is that videos are given preferred status and can generate 135% greater organic reach than photos or other content. Instead of simply posting a link, try embedding a video instead. If you’ve already got a video on your landing page you can use that, or you might consider creating a unique video just for Facebook users. 4. If you haven’t tried Facebook Live, the social media site’s new live video option, now is the time to start. Live videos tend to get a great deal of engagement. Facebook’s initial trial run revealed that live videos got approximately 10 times more comments that regular videos. Another benefit of live video is that it is meant to be spontaneous. You can shoot a live video on a shoestring budget, and you don’t have to worry about scripting it. You can even solicit comments and questions from viewers, which makes it a great way to keep people engaged and interested. 6. Pin your lead generation posts to the top of your Timeline. This is an extremely simple, free strategy that you can use to make sure your lead gen posts don’t get lost when you post new content. Obviously every post you put up can’t be a direct marketing appeal, but you can simply choose the “Pin this Post” option to keep your lead gen visible at all time. It’s a good idea to update it regularly so that people don’t get sick of seeing it there. 8. Speaking of your product, you should consider asking people for opinions of your product. One way to do that is to offer a free trial or sample. Post the offer on Facebook, link to your landing page, and ask people to comment with questions or opinions about what they experience. 9. Offer a webinar and create a new Facebook event page to go with it. An event page requires your followers to specify whether they will attend your webinar or not. You can require subscription to your list as a prerequisite for signing up for the webinar. Merchant products are promoted on 3rd party (affiliate) websites. When visitors click through from the affiliate site to the merchant site and make a purchase then an agreed fee is paid to the affiliate. If you advertise your products online, affiliate marketing is an efficient way to generate additional business. It is a cost effective form of advertising for merchants, and a simple way for affiliates to earn revenue from their website. Banner advertising generally has a low response rate, often yielding about 2 visitors per thousand banner impressions. Despite the relatively poor value of banners for driving traffic, banner advertising can be particular useful in certain circumstances such as raising brand awareness. page is about before it is indexed. A unique Marketing Campaign that allows a company and/or its products and services to stand out from its competitors. Having a niche product or service makes the job of marketing your product or service much easier. If your service is not unique, it is often possible to identify a ‘unique selling point’ of your product or service. Focus on your unique selling points, those products or services that differentiate you from your competitors, and ensure you portray these to your potential customers. There are many aspects that can make you similar to your competitors, so ensure your unique selling point is clear to your customers. This can make a significant difference between success and failure. Using e-mail as a means of communicating commercial messages to an audience (Direct Marketing) can be a profitable addition to your marketing strategy. Targeting your existing client base with additional services or products. Targeting your existing client base with the purpose of enhancing the relationship of a client with its current or old customers and to encourage customer loyalty and repeat business. Targeting your existing client base with the purpose of selling 3rd party products for a fee. Purchasing a list of client email addresses for the purpose of marketing your products to a new client audience. Adding your advertisements to e-mails sent by other companies to their client base and marketing your products to a new audience. LOW COST : Compared to direct mailing or printed newsletters the costs are negligible. The advertiser does not need to pay for production, paper, printing or postage. IMMEDIATE : It is instant, as opposed to a mailed advertisement, an e-mail arrives in a few seconds or minutes. TRACKABLE : It is easy to track. An advertiser can track hits, conversions and rise in sales. Real-time. FAR REACHING: Direct marketing can reach substantial numbers of e-mail subscribers who have opted-in (consented) to receive e-mail communications on subjects of interest to them. PPC advertising – Send your customers through to a targeted page. Many companies send clients through to the homepage, or worse, a non related page to what the term is. By sending potential customers through to a relevant page, you reduce the number of clicks required to find the product, at the same time reducing the number of exit points, which have the effect of making the money spent on sending the client to the site redundant. Affiliate Marketing – These days may clients are using companies such as Tradedoubler and Miva to drive traffic to their site. However, the number of times I have seen companies use the extra functionality such as product feeds that these Affiliate Marketing companies provide, and then under utilise them is staggering. By again targeting the users directly to the product/service they are searching for you are reducing the chances of the customer leaving the site before he/she has even viewed your product. investment is often one of the best ways of increasing your bottom line, and as a result your return on investment (ROI). This may sound like common sense, however many companies overlook this, and continue offering products or services that never make any positive ROI. The same applies to search engine marketing as a whole. For example, If you have a pay-per-click campaign, and are using very generic terms, you may find by tweaking the terms, and making these more specific, you decrease the amount you are spending on your PPC campaign, and increase your ROI as a result. best ways of keeping visitors coming back to your site, whether they be human or robots. Visitor loyalty is invaluable. This can be achieved via a number of ways whether it be a niche product, well written technical articles, your companies own PR or even just something that is just unique, funny or controversial. Over complicating the conversion process is often the biggest barrier to obtaining a successful sale. Many companies place barriers in the way, giving customers more reasons to pull out of a sale before completion, whether it is up-selling, over zealous data capture, or an inaccessible website. A recent client’s buying process involved 10 clicks from site entry to sale completion. By reducing the number of clicks required to complete the sale from 10 to 6, sales increased by 400%. This involved streamlining the buying process, ensuring that the customer completed in as little time as possible. In the modern era, time is money. Therefore time can be expensive so keep the time required to make a purchase to a minimum. Research thoroughly the keywords that your website can realistically be ranked for. If you have a new website in a highly competitive market then ranking naturally for the major terms will be close to impossible, so consider less competitive and more targeted terms. Higher levels of visitors do not necessarily mean an increase in sales. A more focused set of keywords may mean lower traffic but the quality of the traffic can lead to a better ROI. have a detrimental effect on sales conversions and ultimately your ROI. A Mod Rewrite engine is a piece of web server software used to modify URLs, for the purpose of making your dynamic URLs more user friendly to customers and search engines. A rewritten URL is easier to use if it is short but descriptive. The URL should have some text describing the content, but should not be too long. Good navigation structure is an essential ingredient for any successful web site. If visitors find your navigation confusing or overly complicated then they will simply give up and look for another website offering the same products or service. E-Gain New Media work on the basis of a three click rule. In other words, try to keep any customer focussed page within three clicks of your homepage. Navigation on a page should be clear, concise and relevant. Many a potential client has been put off a sale by entering a page and then exiting the site completely once they find out the page is not relevant to what they are looking for. Online marketing is a term that encompasses several methods to raise awareness of your web site and increase sales. These methods can include either, or a combination of banner advertising, e-mail marketing, search engine optimisation or Pay-Per-Click. These technologies used together or alone, can, if thoroughly researched and implemented signicantly increase relevant traffic, customers and ROI. Developing your press releases should be the first step, ensuring that your content is clear, concise and unique. Branding your article is nearly as important as the content, make sure you get your sales message across in the article, and use the various sources of syndication available on the web (such as PRWeb, Newsisfree, http://www.press-release-writing.com) to target your article to the applicable sources. Questionnaires can be a good way of gauging customer perception. well as being one of the brand leaders in e-tailing. customer is often much higher than keeping an existing customer. significant effort and funding in order to generate new customers. Search engine optimization – Improving rankings for relevant keywords in search results by changing the website structure, and content so that the website can be better understood by the search engines. Search engine advertising – Paying the search engines for a guaranteed high ranking or for an advert to be displayed prominently beside the natural results (commonly known as pay per click advertising). Paid inclusion – Paying the search engines for a guarantee that the website is included in their natural search index. Search engine marketing companies are experts who explore the weaknesses and strengths in the methods and individual products to find the best way to promote a particular website on the search engines. A set of methods such as content matching or profiling aimed at delivering a marketing campaign that targets the individual interests of a specific user base. By targeting your campaign you can increase the quality of leads and increase your return on investment. This is particular useful when planning your affiliate marketing, pay-per-click strategies or email marketing campaigns, as knowing your demographics means you are more likely to convert a higher percentage of your targeted audience. Do you know where customers drop out during the conversion process? You would be surprised at how many companies are not aware of exactly where they are losing customers, and therefore they do not fix a problem that is potentially the difference between success and failure. Knowledge is Power, no decision can be made without sound knowledge, and as such the more knowledge you have of your customers and their behaviour, the better armed you are to ensure that these customers convert to sales. There are various log analysis software packages available such as Clicktracks and Google Analytics that will perform these functions. Use the tools at your disposal, and ensure that the path from entry to conversion is a quick, sleek and ultimately easy process for your customer to make. You don’t have to have the lowest prices or the next ‘must have’ item, however, providing there is a reasonable compromise between the two, then you have a potentially saleable product. Generally customers purchasing products will pay a premium for that little extra service such as better, quicker delivery arrangements or extended product guarantees. It is therefore possible to tip the balance towards your product, by including these types of ‘value-adds’ as part of your product. If visitors think they are getting a better priced deal in comparison with your competitors, then they are more likely to buy. At the end of the day, everyone likes a bargain. If a customer feels like they are getting a good quality product at a good price, then they are more likely to choose you over your competitors and thus increase your return on investment as a direct result. Propagation of a brand, through human interaction. This can include personal emails, forums, blogs and personal web pages. Referrals from a third party are often far more likely to convert than referrals from any other type of referral. In terms of Online Marketing, conversions from ‘online word of mouth sources’ are invaluable, due to the limited effort and cost required in order to generate new business. If you sell products online then XML Feeds are a must. By creating an XML feed of your products you can market your goods using services such as Froogle, Google Base, Yahoo shopping, Shopzilla and more. Other feed marketing services such as RSS and podcasting are becoming more and more popular, and these markets are expected to grow significantly over the next couple of years as the use of RSS as a medium for advertising increases. ‘Surrounded by golden white beaches’ or ‘set in an acre of dense forest woodland’. Straight away your customer can imagine themself there. can create a positive impression.. By portraying a positive impression of your wares, you are already creating a favourable impression with your customers, and as a result, you may find a significant increase in conversions. 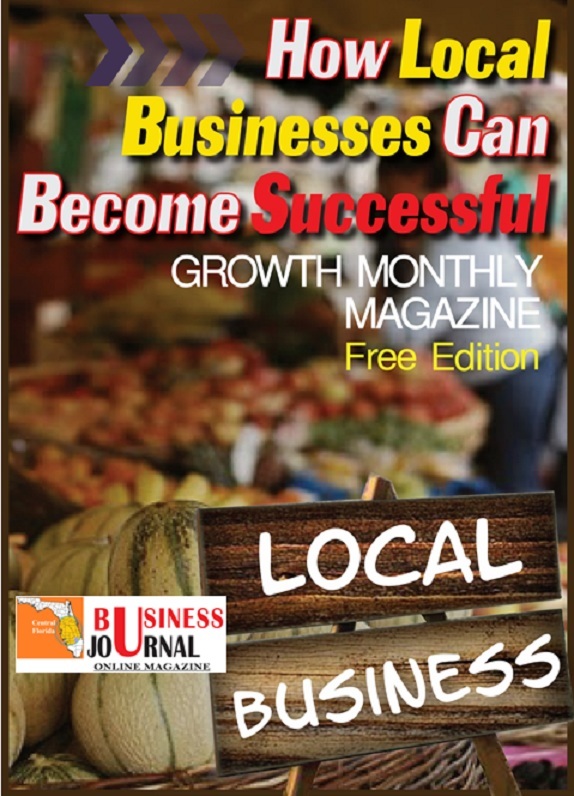 A part-promotional, part-informational newsletter or magazine distributed over the Internet via E-mail, or a web site that contains regularly updated articles, advertising and other components of a magazine. Peter Young – Online Marketing Consultant with E-Gain New Media [http://www.e-gain.co.uk] offering website design [http://www.e-gain.co.uk/web-development/website_development/web-site-design/], search engine optimisation – SEO [http://www.e-gain.co.uk/online_marketing/business_solutions/search-engine-optimisation/], PPC management and online marketing consultancy. It is important to keep the access always open to all technology users. SMS messaging can be part of an effective mobile marketing campaign although there are certain criteria to be adhered to for a greater success. An extensive market research is helpful to analyze the targeted demographics before investing heavily into a mobile marketing campaign. Reaching out to prospects is easy when their mode of communication is identified. Modern businesses today are discovering the benefits of mobile marketing. It is a cost effective advertising tool to reach a larger targeted audience. Business companies that are keen to be ahead of their competitors would do well by applying some relevant tips in improving their mobile marketing campaigns. Mobile marketing uses excellent tools and techniques from the latest resources and technology to boost up the business profits. Modern consumers use their hand phones to check mail, communicate and download a host of applications for information and entertainment. The rampant usage of social media and networking becomes a potential area for positioning the business and kick starting or expanding your mobile marketing campaigns. It is crucial to be clearly visible as a market leader in the industry to your target market. A successful mobile marketing campaign requires a reliable and experienced expert or service provider in the market with a proven track record. 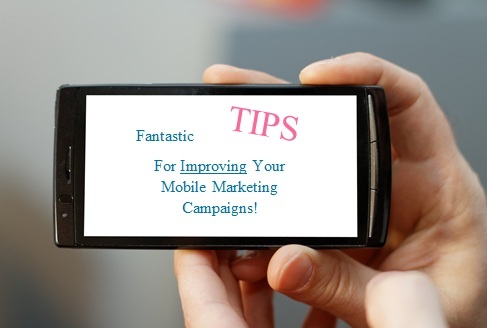 Some may recommend cheap mobile marketing campaigns without deeper considerations of the impact on the business. A mobile marketing campaign’s success is not measured by the increased quantum of new sales alone; the effective longevity of the marketing campaign is important before new campaigns can be enjoyed. A successful mobile marketing campaign is developed step by step with a phase by phase implementation to allow incorporation of newer and more effective technologies, resources and trends. The network can be expanded slowly through proper social interaction using the available tools in the market. As Internet navigation is more difficult on a mobile device, it is better to implement an easy-to-use mobile marketing campaign. Any successful mobile marketing venture or campaign must be clearly worked out to note the final outcomes. The first few stages should involve the campaign objectives and goals while the tools and resources to be used can be identified later. A mobile marketing campaign can be enhanced by the mobile content available on multiple mobile platforms that users have today. These include smart phones, iPad, computers and other wireless electronic devices and gadgets. Scripting programs must be compatible with a plethora of modern electronic devices for a higher ROI. If you are reading this, you would like to help your business grow through the use of your cheapest salesperson… Your Online Presence! Your Online Sales don’t ask for overtime, never are sick, never think they know more about your business than you do, and just need a little help to be their most efficient. Doesn’t get better than that! If you have the time and patience, you can D-I-Y. I’m not going to lie and tell you it’s as easy as falling off a log, it’s not. To perfect your online sales funnel, it will take hours to figure it all out, but here’s a few pretty decent starting points for you. Try using them with a mind map to move the process along. … – WHO is Your Ideal Customer? … – What are THEIR Online Habits? … – How do THEY prefer to access your online info? Where do their habits overlap with your presence? Where can you CREATE overlap by expanding your presence? How can you integrate automation into that overlap? – Consider the Technology you have available. – And MOST of all, consider Customer Convenience. … If you DON’T, your competitor WILL. Remember that each business is different, so what may work for one industry, won’t work for another. For instance, the legal profession has never had any real luck on Facebook. There is NO blanket solution.Keeping this all in mind, if you need help, and want to save months of your time in creation, implementation, testing, analysis, tweaking, and re-testing, to say nothing of getting it done quickly to start making money now instead of months down the road, perhaps we can help. Give Corky Devendorf a call on his cell phone at 863-236-8193. The Internet and modern technologies have totally transformed the business world today. However, some may be disgruntled about traditional marketing principles being sidelined with new practices such as search engine optimization. But offline marketing techniques can come in handy and still be effective when used wisely without busting the budget. It is unfortunate that many business owners are forsaking the use of posters, leaflets or flyers in their marketing actions with the emergence of new technologies that do not need to use paper. However, poster marketing can be a useful marketing approach with the myriad of professional printing services in town. Printed matter is still desired as there are many consumers who would like to hold a piece of paper in their hand or a visual on the wall as a reminder. Professionally printed posters, leaflets and flyers can be very cost effective with a low printing cost for a large quantum. Posters may end up in the bin or as litter but a 5% response from posters is likely to generate a huge profit over the small expense incurred. This is an effective marketing tool that can bring in a good ROI. More and more creative marketing ideas are generated to boost any business brand. A lot of vehicles such as trailers, buses, taxis and even business vehicles are used to advertise some brands of products or services. This is a low cost offline marketing technique as these adverts can be a long term option depending on the negotiations between both parties. Vehicle adverts are excellent in reaching a wider audience as the vehicles travel all over town. Motorists and passers-by are able to view the adverts on the vehicles on the road even if it is for a couple of seconds but that is enough to create an impression of the product, service or brand. The most appropriate information with an attractive design in color can be very effective in catching the attention of consumers when these advertising vehicles pass by. They can be parked at targeted townships to generate brand awareness easily without paying a high advertisement cost as long as the road authorities and legislature permit such an approach. Vehicle adverts are great for targeting the masses as these vehicles can travel across the country to create the impact. Another proven offline marketing technique is the use of giveaways or freebies. Businesses with tangible goods can offer small sample products to boost the brand presence and increase awareness of the new product offerings. Once the consumers have tried the sample and like it, they are set to be loyal customers. Businesses with intangible products such as services can offer discounts, promotional pricing and even freebies regardless of any relation to the business. Many companies give free balloons and toiletries with their company name and contact information that would help consumers make a call for further inquiries. Consumers who receive these freebies are constantly reminded of the brand and products or services to pick up the phone for some business transaction. We have a couple even BETTER ideas, but they integrate online and offline measures. Give us a call to talk them over and see if they are right for your business.